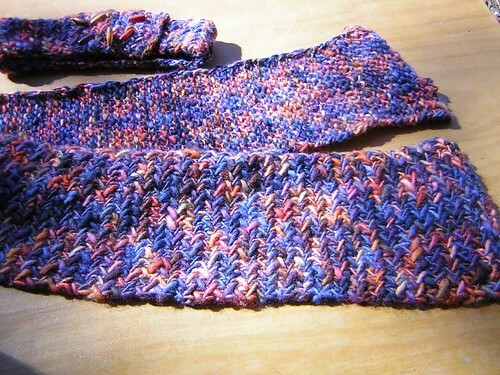 The headband variation is just casting on 16 stitches and following the scarf pattern until it's large enough to fit a head. I added a few eyelets for buttonholes so there could be a variety of sizes in case it stretched or was too small. The buttons are actually little wooden beads I bought at that big estate sale.